Authorities in Texas say the retired pitcher is accused of continued sexual abuse of a child under 14. Former New York Yankees World Series MVP John Wetteland has been arrested on suspicion of child sexual abuse, Texas police said. 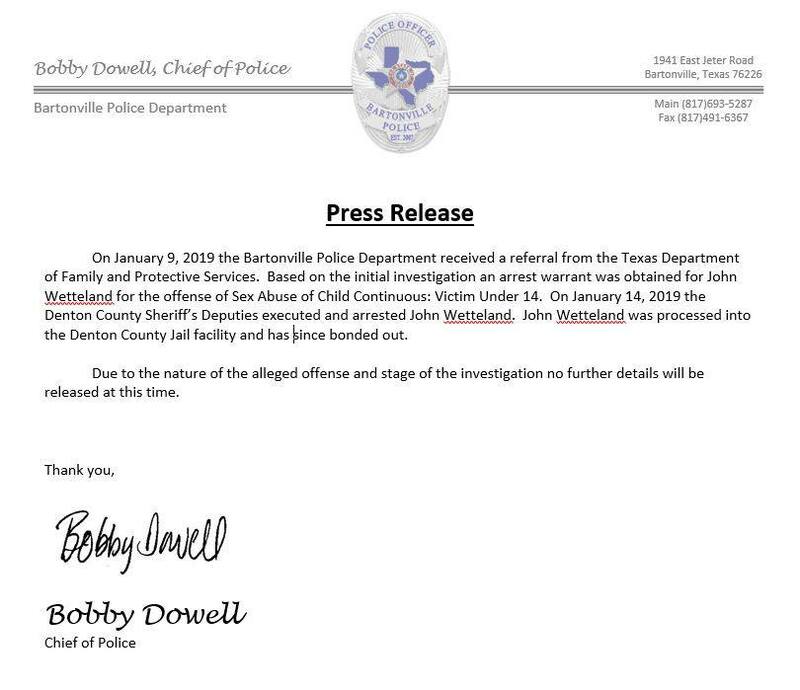 The Bartonville Police Department says it launched an investigation into the 52-year-old former pitcher on Jan. 9 after receiving information from the Texas Department of Family and Protective Services. Wetteland was arrested Monday and charged with one count related to the continued sexual abuse of a child under 14 years old, Denton County Jail records show. Dowell said Wetteland was released that same day on $25,000 bail. John Wetteland pitches against the Chicago Cubs during a Major League Baseball game in 1993 at Wrigley Field in Chicago. Beginning in 1989, Wetteland spent 12 years playing in the major leagues. In 1996, he won a World Series championship with the New York Yankees and was named the MVP. He also played for the Montreal Expos and the Los Angeles Dodgers. He spent his final four seasons with the Texas Rangers. He retired after the 2000 season with 330 saves and a 2.93 ERA and was inducted into the Rangers Hall of Fame in 2005. A born-again Christian, Wetteland has been coaching basketball and teaching Bible studies at Liberty Christian School in Argyle, the Teaneck Daily Voice reported. The Denton County Prosecutors Office did not immediately return HuffPost’s call for comment on Tuesday. Jail records do not list an attorney for Wetteland.